In a country like Finland, where the grass is covered in snow for months of the year, what do you do with your lawnmower? 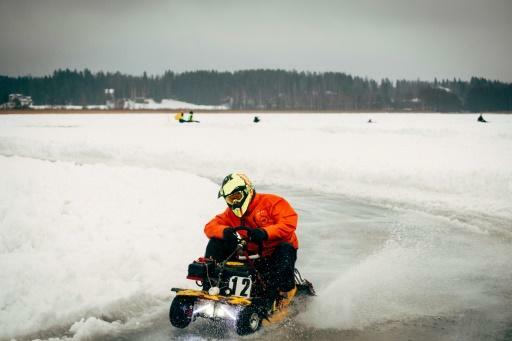 For some, the answer is to race it around a frozen lake ? battling sleet, slush and icy fingers in a 12-hour test of endurance. 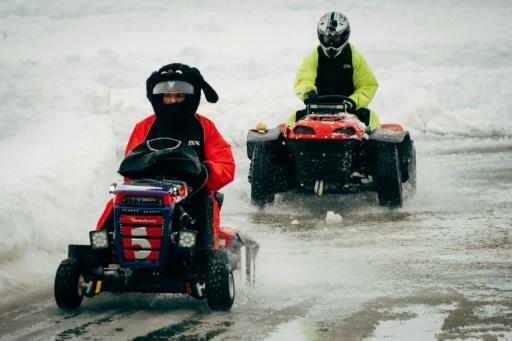 On a recent sleeting February day, 39 teams of lawnmower racing devotees -- bearing names such as "Mowe for It" and "Pain in the Grass" ?- descended on the remote Finnish village of Lavia to compete in the "Lawnmower Le Mans". In the Nordic nation famed for making sporting competitions out of anything from air guitar to wife-carrying, to sitting naked on anthills, onlookers might be forgiven for thinking lawnmower racing is all a bit silly. Not so, say the sport's devotees, who point out that speeding around a track at up to 60mph (100kph) on a souped-up grass cutter can take a heavy toll. "In 2017 I came off in a sprint race," Les Pantry, a British aircraft engineer who assembled a group of 18 teams to travel to Finland from the UK, told AFP. "Unluckily I smashed eight ribs, broke a collar bone and broke my neck in two places -- I'm out here again racing again," Pantry said. Lawnmower racing has a long-established following across the US and Europe, thanks in part to the fact that it is considerably cheaper than other motorsports. 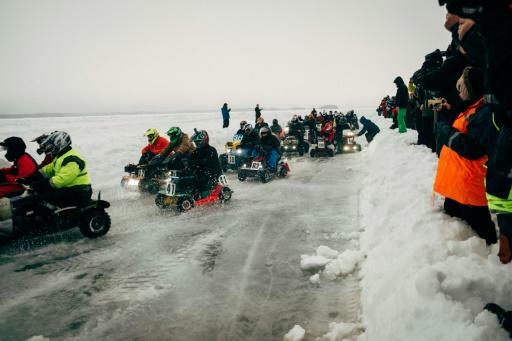 Yet from the moment the mowers sped (or in some cases, chugged) away from the starting grid onto the one mile (1.6km) course, it was clear the melting ice would make the day's race even more challenging. "To keep the track in good condition, that's a problem," said Patrik Lindahl, the race organiser and founder of the sport in Finland, told AFP. As the souped-up mowers juddered and slid around the slushy track, many drivers crashed and had to be given a push to continue around the circuit. Every so often a mower pulled into the pit stop to refuel or change its studded tyres. After seven hours, Patrik Lindahl and his officials decided the track was now too dangerous, and flagged down the mowers in an early, and soggy, end to the race. In first place, having completed 125 laps, was team LES Racing. "Now we're going to queue up for dinner, cos we're starving!" Lawnmower racing devotees -- bearing names such as "Mowe for It" and "Pain in the Grass" ?- descended on the remote Finnish village of Lavia to compete in the "Lawnmower Le Mans"